The company have produced plastic filters since 1981. In those days, plastic filters were assembled products of net parts and frame parts made from each varied meterials. It was so difficult to divide them for recycle use. I had been ashamed that our products turned to be waste and burdened ecology after all. Then I thought if net parts and frame parts to be molded together. Since then we have been gone on with the reserch and development. Fortunately, We hit on the idea from our original "derivative limb" technology used for plastic injection molding. Finally, we completed the one-piece molded filter with single material for both of net part and frame part. Since then we provide lots of eco-friendly products based on the "derivative limb" technology such as Slider Board, Slider Stock, Thin-make eco tray, DAISAN eco box. Making the best of our technology, we will make constant effort for developing products contributed to protect environment. We cope with customer's needs and make helpful products. Please continue your favors toward us. Plastic dies and products' design, production. Development support coped with customer needs focusing injection die technology such as Filter, Silider Board, Slider Stock, Thin-make molding, DAISAN eco box, and more. 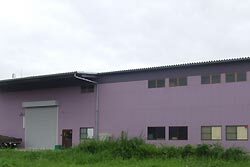 1981 Founded Daisan die making as individual business of Daizou KOTAKI. 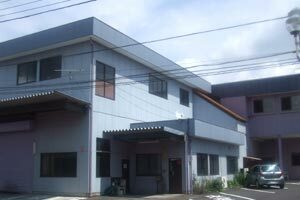 1983 Named the firm as Daisan die production Ltd., and expanded business contents. 1987 Built new plant at current place, improved technical skill with the newest NC model milling machine and challenged to enw field. 1991 Embarked on the development of one-piece molding plastic filter equiped with minute meshes. 1992 Completed the development of plastic filter ( φ70 ) with 0.2mm square meshes. Press release of one-piece molding plastic filter equiped with minute meshes. Published article in JETRO "New Technology Japan" and introduced the one-piece molding plastic filter equiped with minute meshes. 1994 Press release of 100 meshes equivalent filter and drain filter. Started production and sales of simple drain filter Poinet . 1996 Won the encouraging prize at the 37th national inventive device competition. 1998 Press release of 30cm large square stripe filter. 2003 Built the new office. 2004 Certified as the frontier company by tochigi prefecture. Increased 5 million yen for the capital. 2005 Press release of Slider Stock (gravity feeding plastic slippery board). Increased 2 million yen for the capital. Renamed the firm as DAISAN corporation and reorganized on July, 1. Announced the renewal of simple drain filter Poifilter . Started production of Slider Stock . Introduced Slider Stock on the TV TOKYO program World Business Satellite. 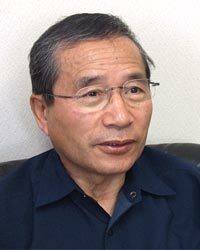 2007 Announced the new plastic bundling product three types adjusting uses, Kado Mamoru. 2008 Announced DAISAN eco box. Copyright © Daisan Ltd., All Rights Reserved.